Every now and then, a really funny/clever parody account pops up on Twitter. The latest one that I enjoy following is called Classic Dad Moves (@ClassicDadMoves). The account’s profile photo is of a middle aged dude in front of his grill wearing a ball cap and a pullover. 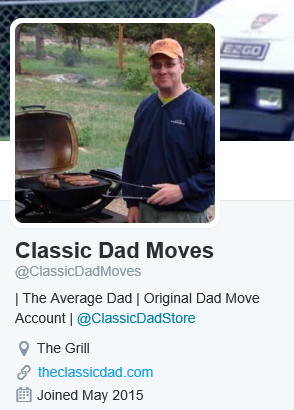 However, the appeal of @ClassicDadMoves isn’t the profile photo, it is the actual content. This is what the @ClassicDadMoves Twitter account looks like. The Twitter account tweets out things a dad supposedly says (i.e. referring to text messages as “emails”) or things a dad supposedly does (i.e. ignoring the GPS on long road trips). The person behind @ClassicDadMoves relies on stereotypical dad behavior but also tweets out stuff that isn’t quite widely known that all dads do. The latter content is what makes me follow the account. My own dad has always been a compassionate, loving influence so a lot of the macho/rude jokes the account tweets out doesn’t register with me. However, sometimes @ClassicDadMoves hits it right on. Some of what it tweets out describes my dad to a “T” and makes me laugh out loud. 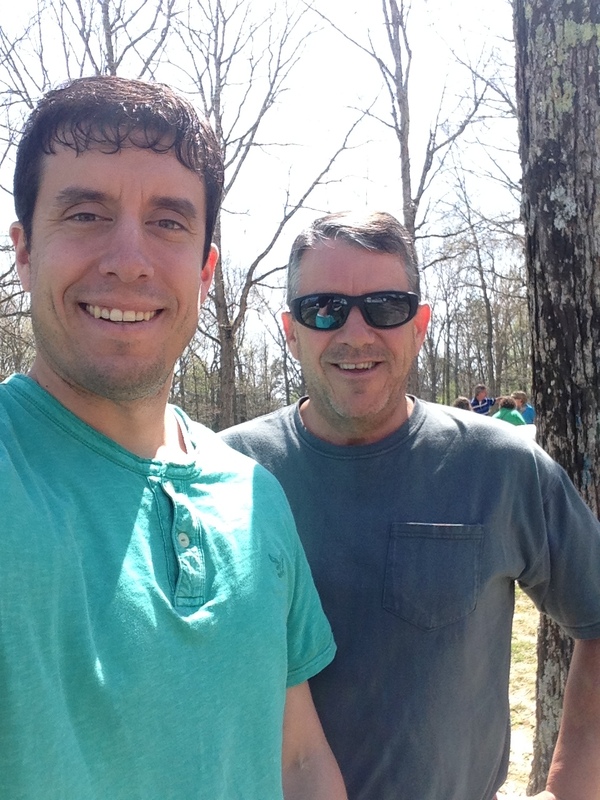 In today’s blog post, I want to share five recent instances when the @ClassicDadMoves account nailed it about my own dad. 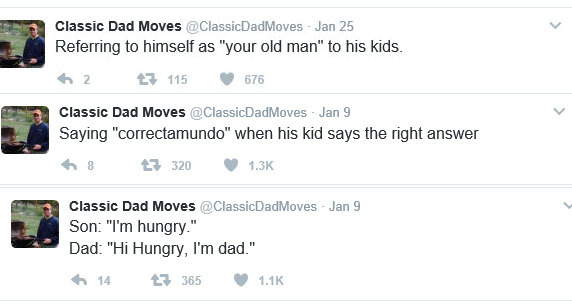 Some of the tweets from the @ClassicDadMoves account remind me exactly of my dad. Making sure he states the time at the end of every voicemail he leaves – Since I can remember, my dad has always stated the time when leaving a voicemail. Even when he is calling me, it is always “Hey Brent, it’s dad. It is about 4:57 p.m. right now…”. Even though any cell phone or voicemail system made after 2000 will clearly tell you the time the message was left, my dad will always re-confirm it. Growing up, my dad would expect the same courtesy as well. He was the voice on our own voicemail recording and he always prompted callers to leave the time they called as well, even though it was unnecessary. Still grilling despite it being 10 degrees outside – Where I come from, there was definitely a grilling season. Living in Spokane, the weather can get bitterly cold. Because of this, most people would grill primarily in the summer. However, this never stopped my dad from “barbecuing” (as we called it) year-round. Before I hit my teenage years, I had not developed a taste for food off the grill yet. When it was the middle of January and temperatures dipped below zero, I would remind my dad that it wasn’t the appropriate time to be firing up the grill. My protest never deterred him. To this day, grilling still occurs 12 months out of the year at my parents’ house. Clipping his phone on – Recently, both my parents each bought iPhones. However, until that fateful day, my dad would clip his phone on. We love my dad so much, but it was always a little silly to see his outdated device clipped to his belt. We gave him a hard time about it, especially when he would struggle to unclip it each time someone “paged” him, but it was to no avail. He was a proud “clipper” for over a decade. Referring to himself as “your old man” to his kids/ Saying “correctamundo” when his kid says the right answer/ Son: “I’m hungry.” Dad: “I’m dad.” – Instead of taking up multiple spots on this list, I wanted to lump a few of the @ClassicDadMoves quotes together. Ever since I can remember, my dad has always referred to himself to me as “your old man.” I can also hear him saying “correctamundo” as I write this. But the lame joke of expressing your state by saying “I’m ______” and having someone (in this case my dad) reply with “I’m dad” accurately described my father all too well. My dad always pulled this awful one-liner on me. In fact, he did it so much that I sometimes pull it out on Sidney! Over dramatically putting his arm across the passengers chest when he stops the car too fast – This one didn’t just have me chuckling, it had me laughing out loud. Whenever I would drive in the car with my dad, if a motorist cut us off or if my dad had to apply just a little extra pressure on the brake, his arm would quickly and forcefully extend across me. It didn’t matter if we stopped 30 feet in front of the nearest vehicle, the arm would still come out. If I drive with my brother, he will jokingly put his arm out in an exaggerated manner to pay homage to my dad’s classic tendency. I honestly didn’t know that this was “a thing” of dads across the world until I saw the tweet. If you want a good follow, make sure to look up @ClassicDadMoves. I thank my own dad for being a good sport about this blog post. Don’t Blink.